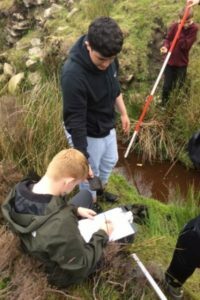 Over the past 2 weeks our Year 10 students have travelled out to the source of the River Wyre to study to what extent the river matches the Bradshaw Model. 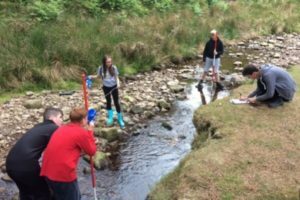 Throughout the afternoon the different groups visited 3 sites and conducted a range of experiments into the depth, gradient, wetted perimeter and bed load. Despite being blessed with beautiful weather, the recent dry conditions made conducting some of the experiments, such as measuring velocity, very challenging. However this does provide us with a lot of opportunity for developing evaluative skills. 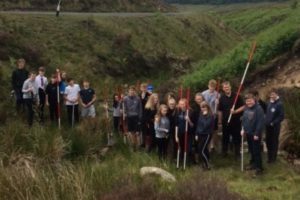 We finished the day in Garstang using secondary evidence to look at the impacts of flooding and learning about the range of flood management methods used in the area. Having collected all the data we will spend the next couple of weeks presenting and analysing it in class. This will support students to prepare for their Unit 3 Geographical Applications exam in June next year.